Gaming notebooks are getting more and more impressive by the minute, but if the current batch of products available on the market hasn’t managed to impress you all that much, maybe the next one we will talk about will. MSI is a company mostly known for its highly powerful mobile gaming stations and the GT72 Dominator Pro is a good example in that direction. But the good people at Swe Clockers managed to find out the device maker is prepping another disruptive gaming solution. The machine is known as the GT80 Titan, and as the name suggests, it’s pretty massive. First of all, it comes with a pretty huge screen of 18.4 inches, when most gaming notebooks out there draw the line at 17.3 inches. Apart from the size, another aspect you’ll notice right from the start is the new Cherry MX Brown keyboard (produced by SteelSeries) which has been moved forward on its own plane and is flanked by a large touchpad on the right, which can apparently double as a numeric keypad. As for technical specifications, we don’t know the whole story, but we can share a few details with you nevertheless. Apparently, the laptop integrates two of NVIDIA’s latest GeForce GTX 980M graphic cards in SLI configuration, while the power house of the device is said to be an Intel Core i7-4980HQ. What we lack at the moment is information related to the resolution of the 18.4-inch panel, the amount of RAM storage (although this is likely to be up to 32GB) and internal storage options. Expect the MSI GT80 Titan to make an appearance on the market in 2015, but exactly when this will be the case we can’t really say at the moment. Also, nothing about pricing has been revealed until now, but you should expect the Titan to become available for sale for a “giant” price-tag. When it arrives on the market, the MSI GT80 Titan won’t be the only laptop in the company’s lineup taking advantage of NVIDIA’s latest GPUs. Immediately after the graphic chip maker make the availability of the two cards public, MSI was one of the first companies to announce it was updating its GS70 Stealth Pro, GT72 Dominator, GT70 Dominator and GT60 Dominator gaming laptops to the latest standard. 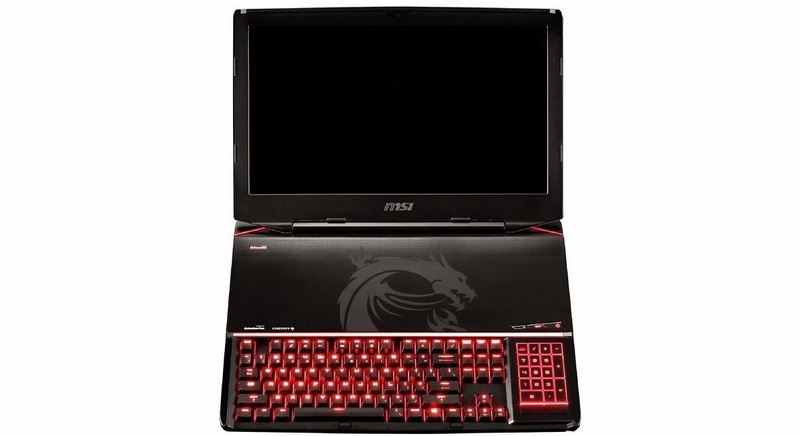 On top of that, MSI also unveiled a special edition of the GS70 Stealth Pro model which will be offered from now on with a new crimson red paint job.